Your net worth is simply what you own after subtracting what you owe. It’s just basic math, but understanding your net worth is a critical first-step to checking to see if you’re realizing your financial goals. Figuring out your new worth is really quite simple: just add up your assets and subtract your liabilities. Our online worksheet can help you create a personal balance sheet in minutes. Most Americans don’t know their net worth, but it’s a great way to look at how many years worth of spending habits affect financial health. Jennifer, a young professional living in San Francisco, figured out her net worth and found that she had too much credit card debt and too much money languishing in a low-interest savings account. It inspired her to pay cash for a new computer she really needed–a computer she was planning to put on her credit card because it seemed so expensive. Her new computer is now a real asset rather than a liability she might have spent years slowly paying for. Getting a grasp on your real net worth is the first step in reorganizing and rebuilding your finances. If you are in debt, the important thing is to turn it around and start saving. Before you can reach a financial goal, you need to know where you stand now. Your net worth is a reference point on your financial road map. Once you know your net worth, you can set a budget to reach your goals. You’ll be better able to protect your assets. Determining the worth of your valuables is not only necessary to figure your net worth, it also helps you get the proper insurance coverage. Do not include a future inheritance; you can’t count on it. The same goes for future paychecks. You only want to tally assets and debts you have right now. Your home is probably your biggest asset and your mortgage your biggest liability. Be sure to get an accurate idea of what it’s really worth by seeing what homes are selling for in your area. If you want to be really accurate, subtract seven percent from the price you think your home is worth today for a broker’s commission and other costs of sale. Credit card debt is often overlooked, but it is every bit as real as a home loan and can be more dangerous to your financial health if you carry large balances from month to month. If you find you’re spending more than you’re earning, make an action plan to control expenses and increase investments. Keeping more of what you make is the key to increasing your net worth. BOOK: The Net Worth Workout: A Powerful Program for a Lifetime of Financial Fitness- If you relate easily to health and fitness, then this book is the perfect resource and guide to understanding your financial fitness. 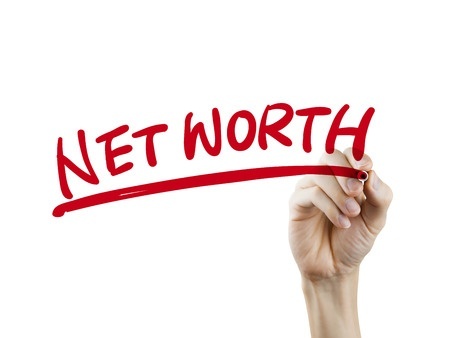 VIDEO: What Is Your Net Worth And How Can You Increase It?